If you are looking to install a propane system that can help keep you warm over the cold winter months, or if you already have one, it is important to have a fuel supplier that is both reliable and affordable. Peninsula has been providing heating fuel and propane heating systems to homes and businesses in the Delaware and Maryland area for over 80 years. In this time, we have built a reputation for service that is affordable, friendly, and reliable. The team at Peninsula are experts at installing propane heating systems, and we even offer fuel delivery. Our free automatic delivery service helps you stay warm all winter long by making sure you never run out of fuel. You can also call us anytime you run out of propane for fast delivery to your home or business. Whether you are looking to convert or install a propane system—or you want to make sure you never run out of fuel—our team of propane experts can help. Peninsula has been delivering high-quality propane service since 1935, and we guarantee your satisfaction with our heating system installation and fuel delivery services. Get in touch with us today by contacting us online or calling (302) 629-3001. Safety – Propane systems have built-in safety valves and stringent safety regulations. Peninsula service techs are trained in the safe transport, delivery, and handling of propane. Savings – Currently, propane fuel prices are lower than both natural gas and electricity. Modern high-efficiency propane boilers can reach efficiency levels of 90 percent or more. That means 90 percent of the fuel the boiler uses goes directly to heating your home. Cleanliness – Propane gas is clean-burning and non-toxic. It is also an approved alternative fuel listed in the Clean Air Act. Reliability – Propane can be used to fuel a variety of heating systems, including forced air and radiant heating systems. It also doesn’t require a separate gas line, making it ideal for those not on a main. Versatility – Many homes have heating units that are not an ideal size. Propane boilers come in a range of sizes, which means we can install one that fits your home’s needs exactly. Propane furnaces generate hotter air than a traditional electric unit and take up far less space. Are you ready to make the switch to propane heating? Call us at (302) 629-3001 or contact us online to learn more about our installation and fuel delivery services today! 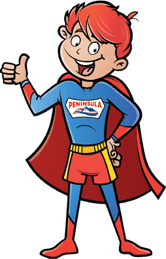 Why Choose Peninsula for Propane Services in Delaware & Maryland? At Peninsula, we are committed to providing and maintaining efficient, high-performance heating options for our friends and neighbors in the Delmarva region. With more than 75 years in the HVAC business, we’ve gained a reputation for quality service. We want to help you save on your utility bills and keep your family comfortable year-round. Peninsula can cover all of your heating, cooling, and plumbing needs. 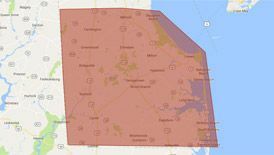 For more than 75 years, we have been proudly serving your friends and neighbors in Bridgeville, Delmar, Frankford, Georgetown, Greenwood, Laurel, Millsboro, and Seaford, DE. To learn more about Peninsula or schedule a consultation for all of your propane heating needs, call (302) 629-3001 or contact us online today!